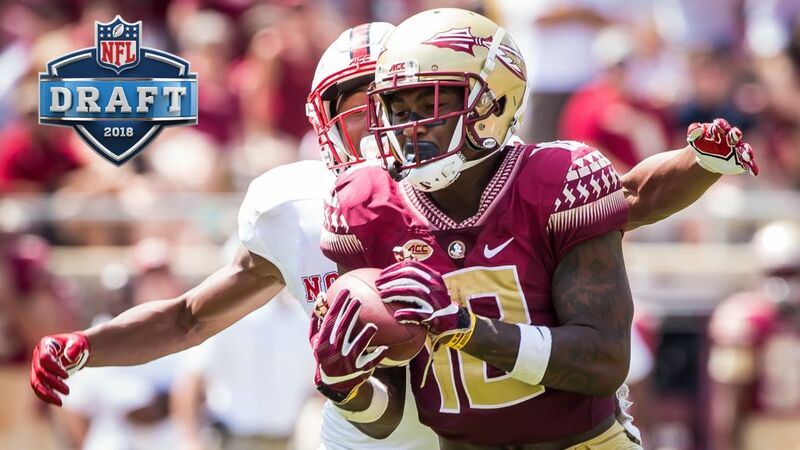 The 2018 NFL Draft was held April 26-28 inside AT&T Stadium in Arlington, Texas, and featured six Seminoles selected. This page includes bios and notes for each Seminole picked. James was selected by the Los Angeles Chargers with the 17th overall pick in the first round. 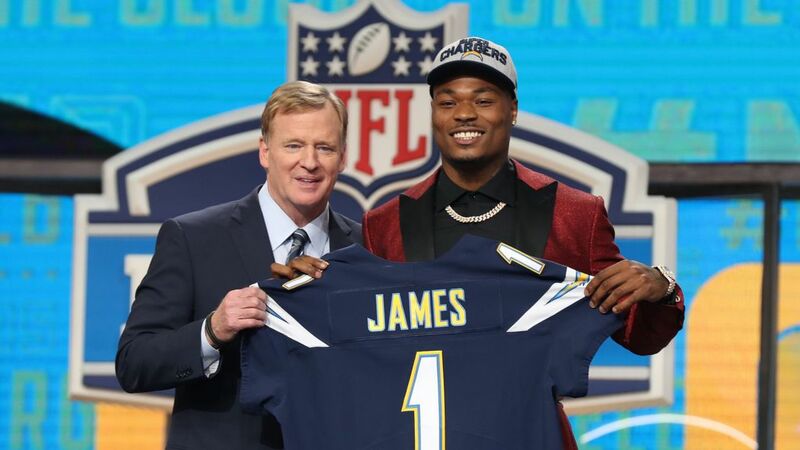 James’ selection marks the 35th straight NFL Draft with at least one Seminole selected, a streak that began in 1984, and makes him the 31st defensive back drafted from Florida State in the last 30 years. 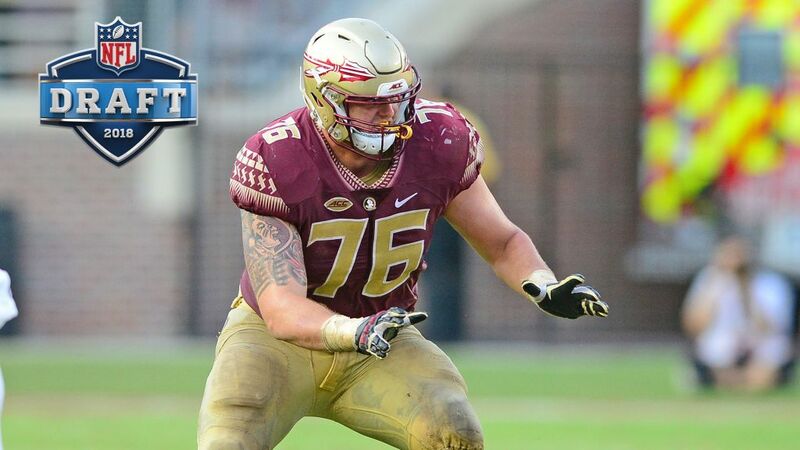 He is the 44th first-round selection and the 280th overall pick from Florida State. He also is the 23rd first-round pick from Florida State since 2000, and his selection marks the 13th NFL Draft in that time span with at least one FSU player taken in the first round. The Haines City, Florida, native appeared in 27 games and made 22 starts during his FSU career. He influenced every part of the game as he recorded a total of 186 tackles, including 15.0 for loss with 5.5 sacks, 16 pass breakups, three interceptions, two forced fumbles and one blocked field goal. Despite missing most of the 2016 season due to a season-ending injury in the second game of the year, James was recognized as one of the top defensive backs in the country and was a two-time All-ACC selection during his career. In 2017, he was named a first-team All-American by the FWAA and earned second-team All-America honors from Walter Camp, the Associated Press, Sporting News and the AFCA while being awarded first-team All-ACC acclaim. 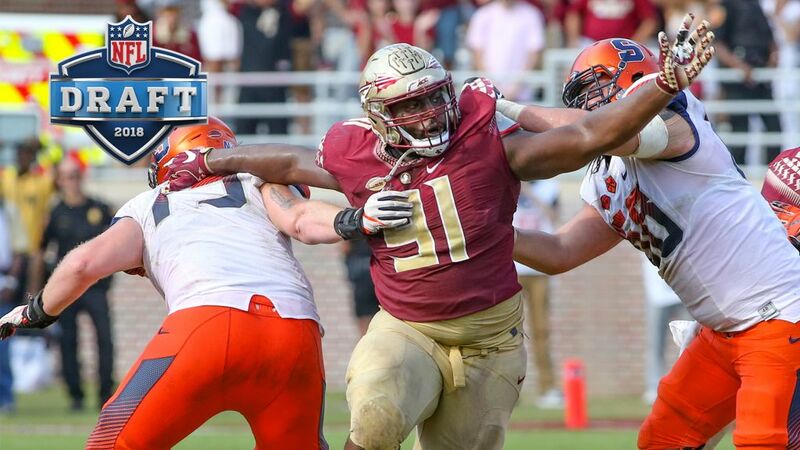 Nnadi was drafted in the third round by the Kansas City Chiefs as the 75th overall selection and became the 13th FSU defensive lineman selected since 2008. He was a dominant four-year contributor who recorded 165 tackles, including 24.0 for loss with 11.5 sacks, and two forced fumbles while appearing in 48 games with 37 starts. He was a two-time All-ACC performer, earning first-team accolades in 2016 and third-team recognition in 2017, and was voted a team captain as a senior. The Virginia Beach, Virginia, native started all 13 games in 2017 and ended his senior season with 53 tackles, including 10.0 for loss with 3.5 sacks, and one forced fumble. In the season’s first three games, against No. 1 Alabama, North Carolina State and Wake Forest, Nnadi recorded 19 tackles, including 4.5 for loss, and one forced fumble. He had a career-high-tying 2.5 tackles for loss against the Wolfpack and capped a perfect career against Florida with a season-best 1.5 sacks as part of a three-tackle performance in the win. Leonard was drafted in the fourth round by the New Orleans Saints. After beginning his career playing defensive end for two seasons, the Middletown, Maryland, native moved to offensive line prior to his junior year and helped block for two of the most prolific single-season rushing efforts in school history. He started 19 games at right tackle, including all 13 in 2017, blocking for FSU’s single-season rushing record holder Dalvin Cook in 2016 and for the Seminoles’ freshman rushing record holder Cam Akers in 2017. Leonard helped Akers and fellow running back Jacques Patrick combine for 1,772 yards and 14 touchdowns on the ground in 2017. In a win against Syracuse, he opened rushing lanes for Akers to gain 199 yards, the 14th-best performance in school history that also placed him second on FSU’s freshman single-game performance list. In Leonard’s final home game, he helped block for an FSU offense that piled up a season-high 504 yards of total offense. 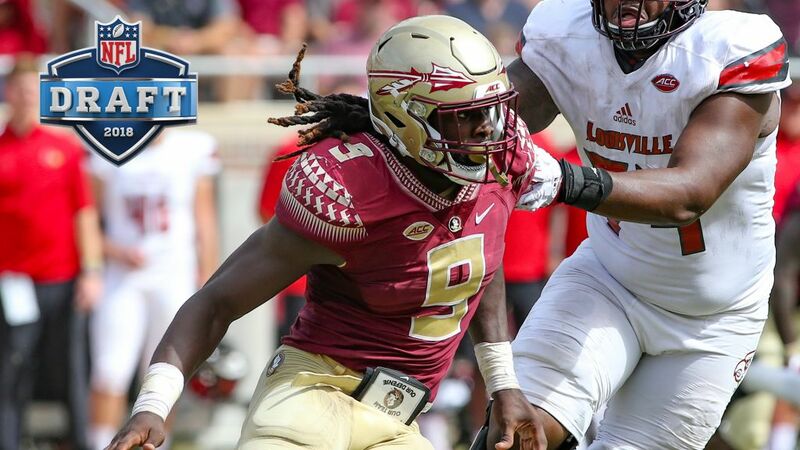 Sweat was drafted by the Philadelphia Eagles and became the 14th FSU defensive lineman selected since 2008. He played in 37 games with 32 starts over his three-year collegiate career and collected 138 tackles, including 29.0 for loss with 14.5 sacks, and three fumble recoveries. Because of his production he was named to the Bronko Nagurski Award watch list prior to his junior year. The Chesapeake, Virginia, native had his season-best performance against reigning Heisman Trophy winner Lamar Jackson’s Louisville squad as Sweat made a career-high nine tackles with 2.0 for loss and a solo sack of Jackson. As a sophomore in 2016, he ranked third on the team with 7.0 sacks, highlighted by a career-high-tying 1.5 in the Orange Bowl win over No. 6 Michigan, helping the Seminoles finish the season with the highest per-game sack average in the NCAA. 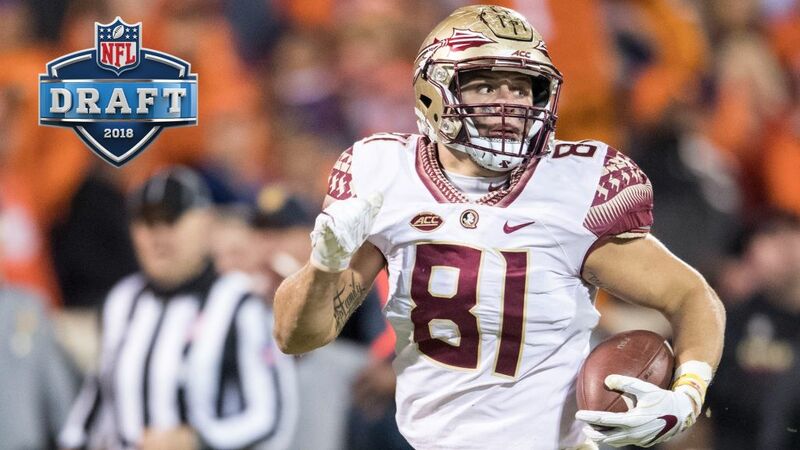 Izzo was selected by the New England Patriots, becoming the second FSU tight end drafted in the last four years. He finished his career with 54 receptions for 761 yards and six touchdowns to rank third in program history among tight ends in receiving yards and fifth in receptions. The Highland Lakes, New Jersey, native also blocked for three consecutive seasons with a 1,000-yard running back. In 2017, he posted career highs with 317 receiving yards and three touchdowns on 20 catches. He opened the season with three catches against No. 1 Alabama, the most allowed to a tight end by the Crimson Tide all season, and ended the year with a career-high six receptions in the Walk-On’s Independence Bowl victory that secured Florida State’s 41st consecutive winning season. At No. 4 Clemson, Izzo caught a 60-yard touchdown pass that was the longest receiving score by a Seminole tight end since 1993. Tate was drafted in the seventh round by the Cincinnati Bengals. In his three-year career, he caught 65 passes for 957 yards and 16 touchdowns while appearing in 31 games with 12 starts. His touchdowns total is tied for 19th in school history and for sixth among receivers with less than four years at FSU. The Irmo, South Carolina, native led the ACC with 10 receiving touchdowns in 2017, a total that was the highest by a Seminole wide receiver since Kelvin Benjamin caught 15 in 2013, and tied for the team lead with 40 receptions. Tate caught one touchdown in each of the team’s first five games and finished the season by tying the Walk-On’s Independence Bowl record with three receiving touchdowns. In the home opener against North Carolina State, he had a career-high nine receptions for a career-best 138 yards and one touchdown before leaving the game with an injury on the second offensive play of the third quarter.